Zero waste events – screening of the clean bin project with a great three person panel afterwards. Also a waste reduction talk which was a little more homegrown. I’m so thankful for a friend I play water polo with for suggesting these, and proud all my nattering about my ways over the years have taken seed in her mind. Caught up with a friend who lives out of town, but we went to school together. She announced she’s got a great job ‘back’ in Melbourne, where she was until her role brought her to Newcastle. IT feels right for her, but me too, for her to be in Melbourne. A close friend had a birthday and quite last minute I joined our friends to axe throw! Yep, inner Sydney has a place to axe throw. We were all equally rubbish and awesome in different rounds so there were lots of laughs and fun had. Here’s our instructor – looks the part right? Right on the border of the end of the month, I went to a concert with a close friend, whose middle name is also Vera! 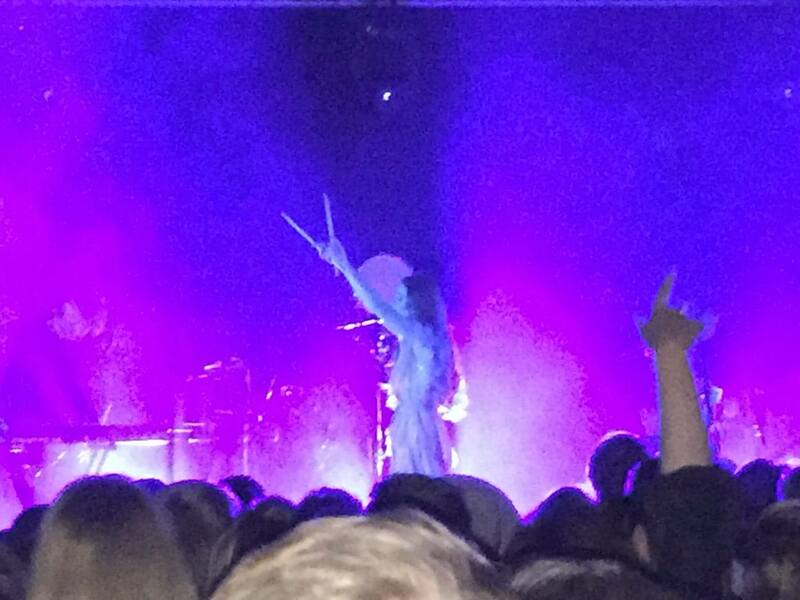 It was my second Vera Blue show this year, and I did prefer the other venue as it was more spacious, and I didn’t experience a group of unruly men last time. This same friend and her partner joined me for a great fancy dinner, post up next. 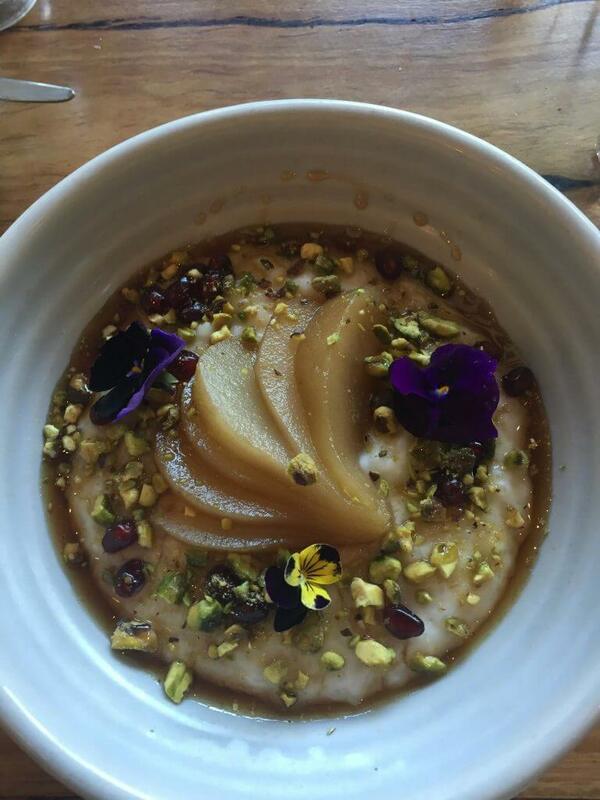 Brunch with a gal pal – rose water porridge. SO much awesome. Started talking to one or two guys in a more authentic and genuine chats than recent experiences – I continue to refine my profile to include my thoughts/expectations and I think it’s weeded out some of the sorts of people who used to reach out but I found no match with. I also added or started using a different app (Bumble) as another single male friend kept mentioning it. It’s a lot less information about people, and women must initiate conversation. It’s not struck any gold yet. There was someone I was very keen on lately, but realised that we weren’t a good match and it would only lead to me being very hurt later on. I made the tough decision to stop contacting him, with a brief warning to him. It’s been easy some days and incredibly hard other days. Agh, can we not? Work’s been challenging. The change is really impacting one of the team, and I take his outbursts and dissatisfaction to heart. Many of the things that are driving him to be so angry are beyond my control and sometimes, squarely sit with decisions of my manager. Taking it one day at a time. Some days are better than others. The first week I was injured with a glute strain, so I did 2 works outs at F45, Sat (injury day) and Monday and a Barre on Tuesday. After seeing a physio and giving myself a little rest, it cam good, and I got back to F45 3-4 times a week. Barre kept being booked out when I wanted to go (or just far more challenging than before), so I decided to drop the $35 a week cost for two classes, and focus on F45 for the remainder of my 3 month trial. This month I took on Dry July somewhat unexpectedly. I have a friend who has a way of phrasing things like we’d already talked about it, and it’s decided. She’s done the same with a Christmas trip to Japan, but that’s a bigger thing to be roped into! Anyhow, I started being dry earlier than July to allow for our ‘reward’ dinner which I’ll blog about. Part of our goals were to both lose 4kgs. Neither of us truly met out targets. However, I did, in a way… The night after our Dry July pact, I weighed myself and was 80kg. This was uncharacteristically high and I attribute to some food poisoning. Sometime in July I did weigh 75.7kg. So, target met! 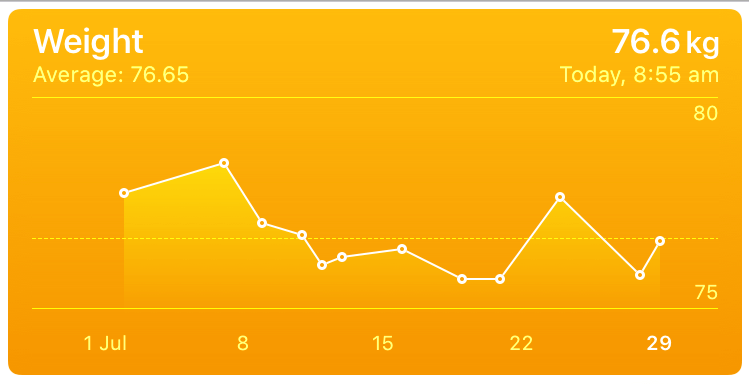 However, I haven’t stayed that low, since going back to 77kg, and then back to under 76kg. Late in July, I paid to have a full body analysis as part of F45, which goes beyond weight. They explained that water retention changes throughout a month for women, so perhaps it’s that? In any case, the body scan is repeated in eight weeks, so I’ll see how I go with that. I like to track all the stuff that trickles into my home – cause having a streamlined or minimal home takes a watchful eye. I did eat out and spend on food, and sometimes think I should track my eating out and keep it a little lower for financial savings, but also help my health. Maybe a new category (and a way to share food photos I take :p) The first two dot points hardly count, as they are gifts and not staying! I borrowed a book by an author I quite like, Scott Turow, but between it being large print, hard cover and a slow start, I just couldn’t get into it, and returned it rather than renewed it when it came time. Not to be discouraged, I borrowed another Turow book to try again, as I have really enjoyed the other two I have read. Money: A love story – Kate Northrup – I can’t recall how this was on my reading list. I found it a little too meandering for my liking, so started leafing through to the activities, which were lots of journal writing. When I did the money quiz, it was clear I had little need for reform! Actually, I thought I wasn’t tracking well in the quiz (ie not knowing my bank balance within $100s, not knowing how much I spent last month within $100) but overall, I scored sufficiently to be in the most proficient category. 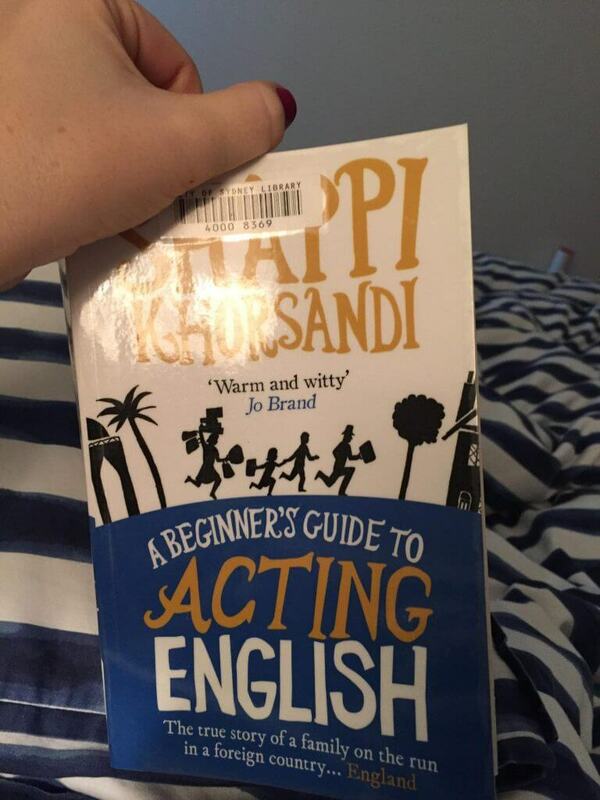 A beginners guide to acting English – Shappi Khorsandi – I LOVED this book. I didn’t realise until I had finished the book that she’s a comedian. It’s about her childhood and moving from Iran to England, during a very interesting time in Iran’s history. I would now read anything she writes! The most good you can do – Peter Singer – an interesting book to be reading after my post on paying off my mortgage, and in the month I received an inheritance. What a month!! Very busy. As to people at work, there’s always going to be someone who causes dramas by their emotional responses. That’s the lot of a manager – having to deal with, ie manage, people. As to love life, I am so glad I’m old and married. I just couldn’t put up or be bothered with all that getting to know phase and internet meeting and dating. Hope you meet someone lovely soon. Yay! You read and loved Shappi’s memoir. Do you want to try Persian food now? Funny how it didn’t feel that busy – I suppose as many weeknights I do the same thing! But there was a jam packed week early in the month. I do want to eat Persian after reading her book! Ha! My July was nowhere near as active as yours, though we did make it out to the lake once. I’m intrigued about this clean bin project, I’ll have to look it up when I get home. What is that rose water porridge made out of? It looks beautiful. How do you like the Lush tooth powder? The tooth powder is way less minty, but otherwise, have taken to it easily. 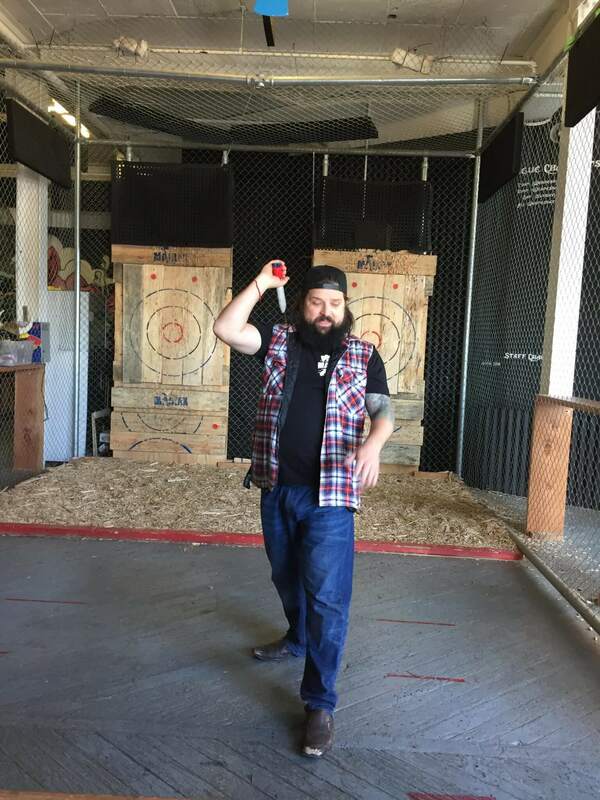 Axe throwing! I have heard of it as a dedicated hobby but not as a one-time evening out, haha! I did a lot of fitness stuff this month in advance of August vacation, and improved my swimming workouts (it’s still on my wish list to swim in the pool by the Sydney Opera House!) I don’t know Vera Blue but I listened to some of her songs on YouTube and I really liked Settle (prefer the glitchy pop sound on that one). Now i must read that book. I didn’t think of it as a hobby – it sits well as an activity with a group of people, that’s for sure. I can’t wait to take you to that pool you speak of – it’s an AMAZING location, that is for sure.